Aizawl, Nov 23 : Young Mizo Association (YMA), the largest and most powerful organisation in Mizoram, is at loggerheads with some minorities in the state, who have taken a strong exception to the former’s “integrity” agenda. Chakma, Lai and Mara tribes who have autonomous district councils in southern Mizoram are up in arms against the YMA’s stiff opposition to granting more administrative power and financial powers to the additional deputy commissioners (ADCs). “The YMA’s agenda violates the Constitution of the largest democracy and fundamental human rights,” the meeting’s resolution said. In reaction to the joint meeting, leaders of central committee of the YMA met the press on Wednesday where they defended their stand to protect the integrity of Mizos and Mizoram. “The YMA has been working for integrity of different Mizo sub-tribes since its formation in 1935. It is painful to be accused of trying to disintegrate the Mizos,” YMA (central) president T Sangkunga told reporters at his office here on Wednesday, in reaction to the allegations. The YMA leader accused the three autonomous district councils of getting the lion’s share from the Mizoram state’s budget whereas there is development setback in the rest of the state due to financial constraint. “Despite this, the three autonomous district councils have been demanding Union Territory status and direct funding from the Centre,” he said. The T Gupta Commission has recommended alleviation of the three autonomous district councils in Mizoram to territorial council, Sangkhuma said. “The T Gupta Commission’s recommendations will ultimately divide Mizoram into smaller pieces. With the political parties unlikely to stand up against such recommendations, there is no organisation other than the YMA to protect the territorial integrity of Mizoram,” he said. The YMA, in its recent general conference, resolved to end ethnic-based politics in Mizoram in order to protect the unity of Mizos. 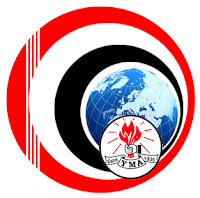 In pursuance of this, the central coordination committee of the YMA last week passed a resolution against granting m ore autonomy to the three A DCs. It also wanted an end to ethnic-based students’ organisations and church denominations.